SANFORD-PrismaColor: Colored Pencil Set. 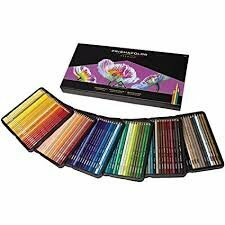 These artist quality colored pencils offer high-quality pigments for rich color saturation. The soft yet thick core creates a smooth color laydown for superior blending and shading while resisting breakage.